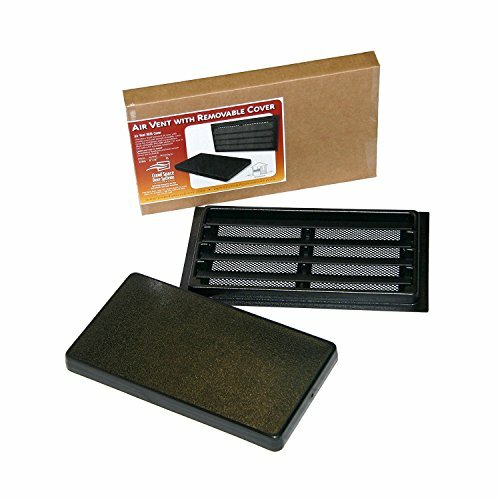 The best crawl space vent covers – almost any household has a crawl space vent to improve the air circulation inside. However, an open foundation vent will most likely to invite uninvited visitors such as rats, insects, and other pests. Alarmingly, snakes could also use it as a way to enter your house. Hence, to protect your household from these parasites, you should consider investing in a foundation vent cover. Since there are hundreds of options online, it can be hard to choose the best foundation vent cover for your house. 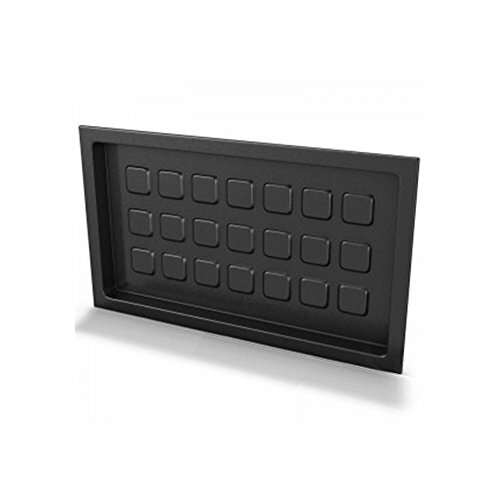 Allow us to be your guide by introducing the top 8 best-selling foundation vent covers available in the market. The Tjernlund crawl space vent is made of galvanized steel construction, so rest assured that it will not corrode or rust. Its solid construction increases the durability and lifespan of the product. Installation of this foundation vent cover is a breeze. You can either attach it from the outside or the inside of the crawl space. It has an 18-inch x 10-inch cover black foundation wall opening and professional modern decorative designs with over 80% open area. This foundation vent cover will surely make your house curb more attractive! All mounting hardware is included in the package. All you need to do is to install the foundation vent cover upon arrival of the product, and you’re good to go. You might want to take a look at this energy efficient crawl space vent from Battic Door Energy Conservation. This vent cover includes winter sealer plate and summer screen for your convenience. It can increase the air circulation by over 50% and can also reduce the moisture in your house. You can install, insulate and seal this crawl space vent from the outside of your home. You should consider this foundation vent cover, especially during the winter because it helps to prevent the pipes from freezing which may cause serious plumbing issues. It also helps to save energy and keep your crawl space warm even with the freezing weather. This foundation vent cover is easy to use. You can open and close it from the exterior, handy protection from rodents and bugs that might enter your house. Check out this sleek-looking crawl space vent in white color from Glass Block Factory. This energy efficient window style construction can resist the harsh UV. It has a double pane, frosted glass sash door with a bubble seal on the perimeter to ensure excellent thermal properties. The aluminum insect screen is removable. This foundation vent cover can fit 16-inches x 8 inches opening. It provides light transparency and security that every homeowner needs. The bug screen prevents all types of insects from entering your house. The vents work by sealing the bubble seal, making sure that no air comes in to keep your floor warm during the winter. The Speedvent foundation crawl space vent cover will solve all your problems during winter when it comes to keeping your floor warm. This vent cover is made of ABS paintable open area 38.2 sq. in a metal screen. When it comes to installation, you will need six screws to install the vent cover to your house curb. At an affordable price, you can enjoy a professional-looking foundation vent cover. You don’t need to burn a hole in your pocket to improve the air circulation of your household when you have this product. Moreover, it has been approved and was built according to the 2012 International Residential Code for superior quality. This foundation vent cover from Crawl Space Door Systems is durable and easy to install. The vent cover can fit 8-inches x 16-inches openings. Since it’s a solid piece cover, unlike another vent cover, it does not open. You can attach this vent cover to the inside of your crawl space using adhesive or fasteners for a quick and easy installation. Make sure that you remove the old vent before using this cover. You can also insulate the crawl space cover by gluing insulation inside the cover. It’s up to you if you want to use it permanently or if you’re planning to use it during the winter. 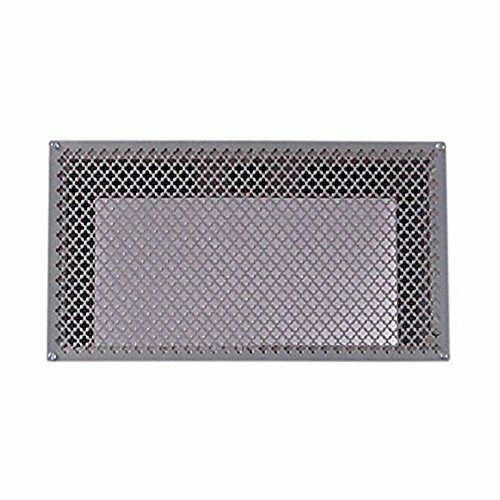 This foundation vent cover is ideal for encapsulated crawl spaces. If you want it to match your house curb, you can paint it using plastic adherent paint. Check out the manual crawl space vent from Crawl Space Doors. 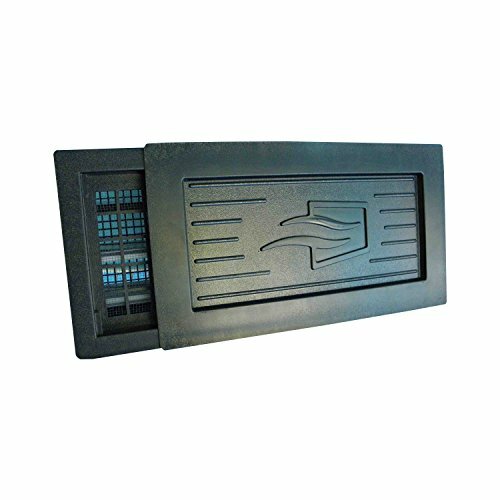 This one-piece fixed louvered air vent features a manual cover that is most suitable for winter. For summer, you can use its louvers and vermin screen. Installing this vent cover is made easy thanks to its flush-mount installation over foundation opening. Just make sure that your opening is slightly larger or smaller than 8-inches by 1-inches if you want to mount. Its total dimension is 11-inches x 19-inches. Its net free airflow is 95 sq. Inches that’s twice the amount of a typical air vent. This vent cover is built to last with an air vent that does not rust or corrodes. Another product from Crawl Space Door Systems, we have the crawl space recessed foundation vent cover. 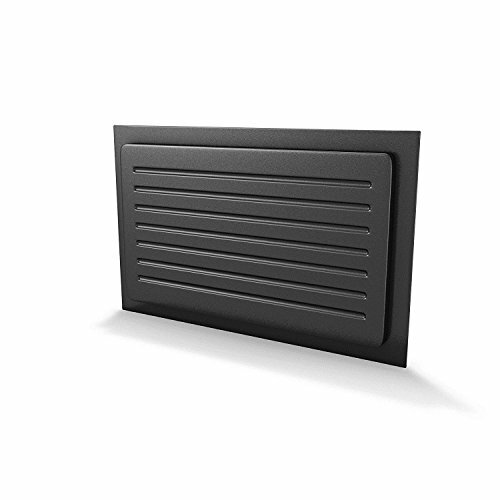 This vent cover has a shallow depth that can replace your old 8-inches by 16-inches air vents. It is made of durable ABS UV plastic that will not rust or rot over the time. This is an excellent choice if you want to seal off vents during the winter automatically. The product is a solution for closed and encapsulated crawl spaces in your house. You can automatically attach the air vents using double sided sticky fasters or even light adhesive. Its overall dimension is nine ¾-inches x 17 ¼-inches x ¼-inches. With this foundation vent cover, you can prevent mold, polluted air, and mildew from invading your house. 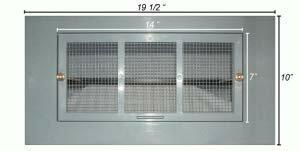 For our last product, we have the crawl space vent cover by Crawl Space Door Systems. You can attach this vent cover from the outside of your crawl space wall. It fits with openings measuring from 8-inches x 16-inches using screws or adhesive. 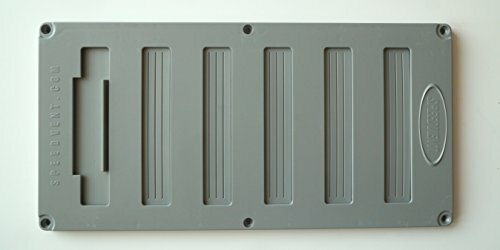 This vent cover is made of durable ABS plastic. Rest assured that it will not rot or rust as time goes by! However, it does not go into the opening. You should mount it over the opening. Similar to the previous product, this vent cover does not open and close. It’s a solid piece cover, ideal for encapsulated crawl spaces. You can screw it directly into the foundation wall with a ¼-inch masonry bit or using adhesive. If you want the vent cover to match your house, you can also paint using plastic adherent paint. Gluing insulation will allow you to insulate the crawl space vent cover. Now you don’t have to worry about keeping your floors warm this winter thanks to this heavy-duty foundation vent cover! Best of all, you need not drain your bank to have it installed in your house curb thanks to its affordable price.